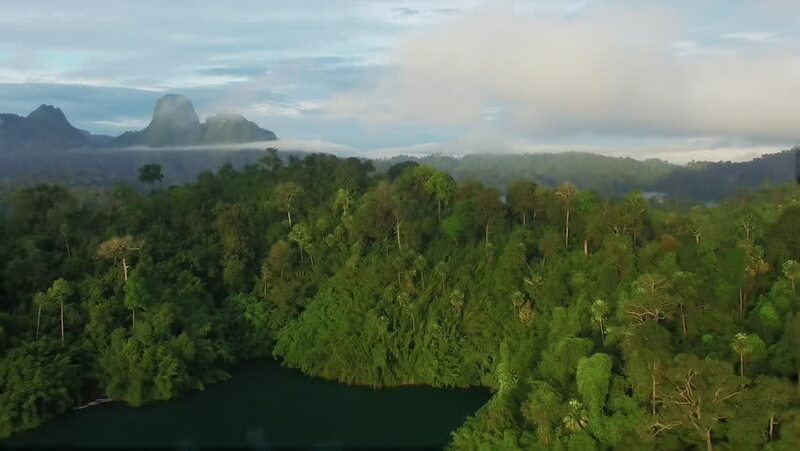 4k00:16Aerial: River Lined by Tropical Jungle and Dramatic Mountains. 4k00:19Over the green mountain top. Going above the trees. 4K Footage.